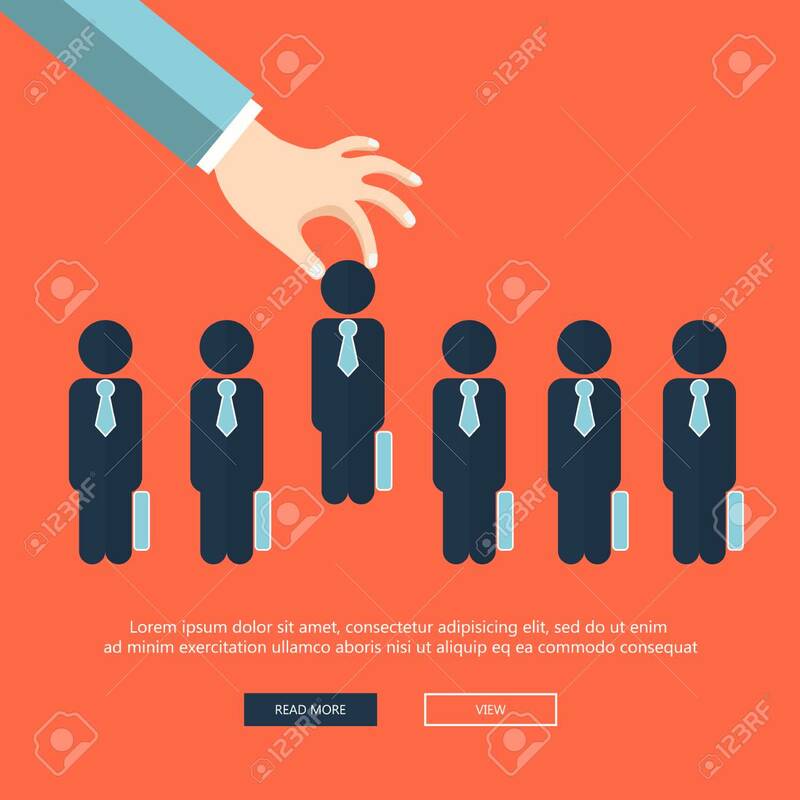 ﻿ Choosing The Best Candidate For The Job Concept. Hand Picking Up A Businessman From The Row. Flat Vector Design 로열티 무료 사진, 그림, 이미지 그리고 스톡포토그래피. Image 100951822.